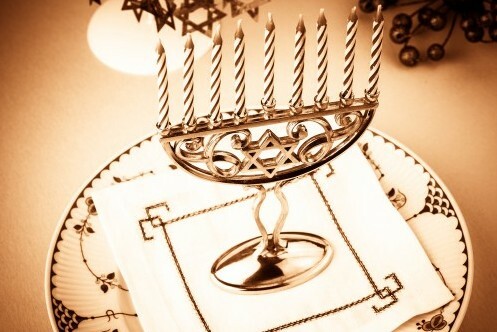 Also known as Chanukah, today marks the beginning of the special Hebrew festival of lights: Hanukkah. Hanukkah starts on the 25th of the Jewish month of Kislev, the Jewish calendar is lunar based so it changes each year. This year Hanukkah falls on the 6th December. The festival reminds Jews of a time over 2500 years ago when Antiochus, a Syrian king, tried to make the Jewish people worship Greek gods. A statue of Antiochus was erected in the Jewish temple and the Jews were ordered to bow down before him. The Ten Commandments forbid Jews to worship statues or idols and so they refused. Hanukkah is recognised with a Hanukiah, a nine-branched candelabra that’s placed in a doorway or window. The raised candle, sometimes centered, is called the Shamash. This is lit first then used to light the other candles, one to mark each of the eight days of Hanukkah. 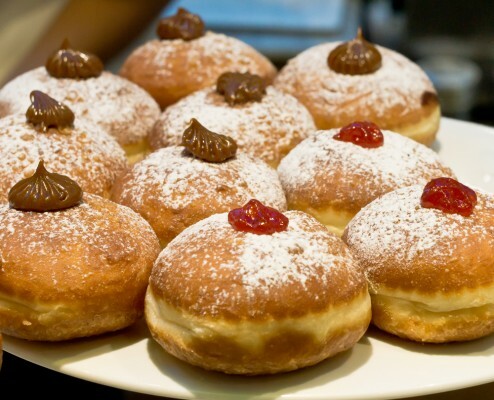 To commemorate the miracle of the oil, a Jewish tradition is to eat foods fried in oil. It is custom to donate money to charity; this is believed to prevent anyone from being unable to light their Hanukiah because they cannot afford the candles. The Talmud refers to money on Chanukah when it cautions us to light at the very least one candle, per household, per night on Chanukah—even if we must go door-to-door for candle funds. The widespread custom of giving Chanukah gelt (money) enabled the poor to get the candle money they needed without feeling great embarrassment Source. 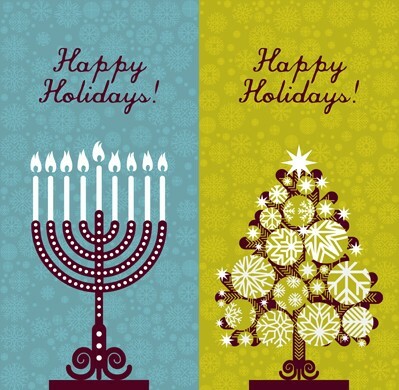 For more information about Hanukkah, or the Jewish faith, contact our Jewish society. ← The Clothes Show Live – Our 2015 finalists!